$19.99 to $64.99 & FREE Shipping on orders over $59 $35. 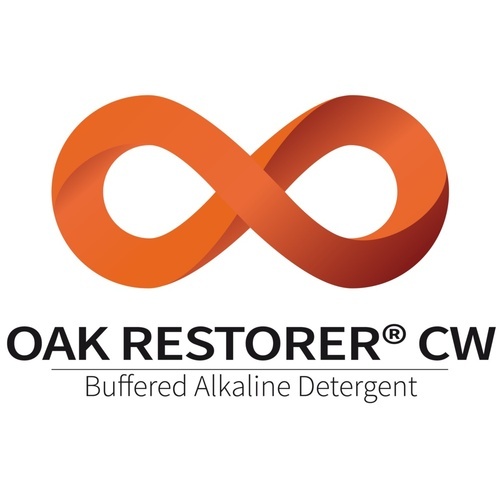 Oak Restorer - CW is designed to clean and restore oak barrels but is also super effective as an equipment cleaner. Will remove tartrate crystals, wine color, protein and organic soils, and clean barrels using cold water (68–86° F) water. 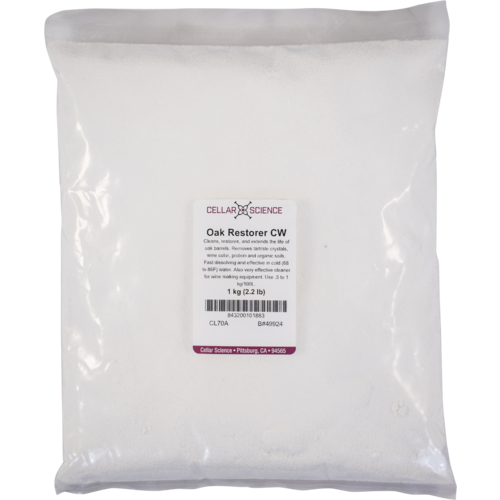 This fast dissolving formulation contains 100% active components for advanced cleaning action compared with carbonates alone. By thoroughly cleaning the internal contact surface you can extend the working life of your oak barrels and staves. The 1 kg size is a perfect dosage to treat moderate stains in a 30 gal barrel. Good reputation for cleaning used barrels. This appears to be a perfect solution to ensuring my wine barrels are cleaned thoroughly. Great oak restorer for my French oak barrels.